Busy San Francisco family is seeking a full-time nanny for their two school age children (1st graders) The family would love a long-term nanny who would ideally grow with their family. The ideal candidate should have a current passport and would be willing to travel domestically and internationally at short notice. 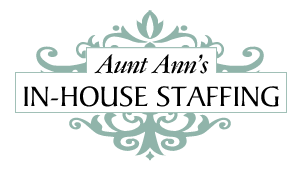 This position is ideal for fun, outgoing, career nannies who are up for lots of on the go activities. Someone with a background in education is also a plus! The family is extremely active and lives a healthy lifestyle. Typical activities include swimming, skiing, cycling, hiking, and exploring. The kids are into soccer, baseball, water sports, skiing, and arts and crafts. During the school year – Many weekends are spent in Tahoe. Leave Fri after school. Return Sun mid-day. Summer: Aspen, Tahoe, Hawaii, Stinson Beach and sometimes Europe . Trips to Hawaii can be as long as 3 weeks but usually 2 weeks. Nanny might not have to be there the entire time. Nannies will rotate. Public Holidays. Nannies may have to work on public holidays although they rotate them. Triple pay plus extra day off if they work on Christmas, Thanksgiving etc.